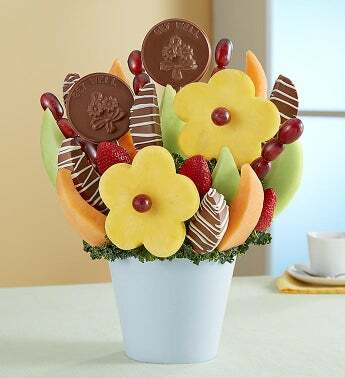 Here’s a delicious way to let someone know that there are better days ahead. 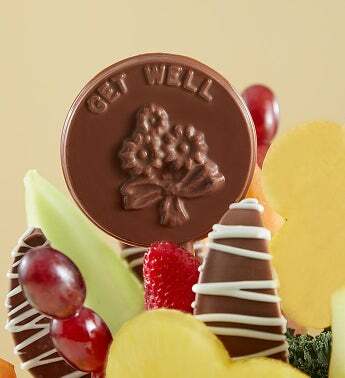 Our pick-me-up fruit arrangement is filled with crisp, dipped apples, daisy-shaped pineapples, plump juicy melon and more, then finished with delicious “Get Well” pops. It’s a thoughtful gift that’ll have them looking the bright side with every bite.